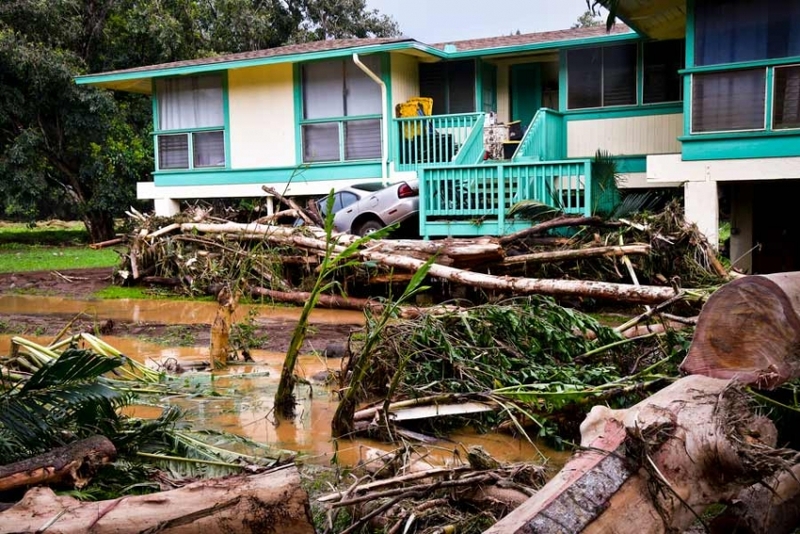 HANALEI, HAWAI‘I—On April 15, 2018, nearly 50 inches of rain fell on Hanalei, a small town on the north shore of Kauai, Hawai‘i, the heaviest 24-hour rainfall in U.S. history. It caused a historic flood that stranded hundreds in evacuation centers as water seeped into the foundations of beachfront properties and multimillion-dollar homes plummeted into the ocean. See full article . . .